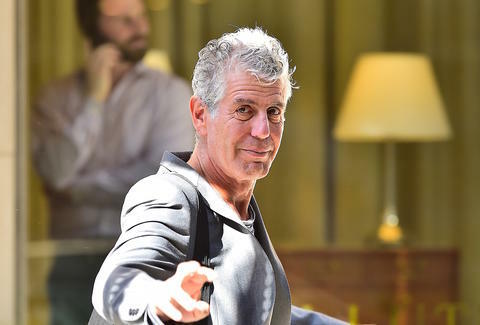 Globe-trotting foodie Anthony Bourdain may be the world-famous host of Parts Unknown, but in some ways, he actually is just like us. There's a lot to love in his recent interview with the New York Times on what he likes to travel with, but embedded in it is one essential tip for the backpacker on the run, no matter where you go: Bring a notebook. Bourdain prefers Moleskins. Bourdain's far from the first person to do this, but it's nice to hear that there's probably a stack of wrinkled old handwritten travelogues he's got stashed away in a closet somewhere. One day those will be worth a handsome chunk of change. Taking it all down by hand also probably makes a cognitive difference on his work. A 2016 study showed that writing your notes down by hand can improve "learning and retention" -- probably important for an international food expert. If you want to live like Bourdain you can grab Moleskins of your own on Amazon for $12 or other brands for even cheaper.